Greater Toronto REALTORS® have released their newest figures concerning the June housing market situation in Toronto and the GTA. The overall number of 9,422 home sales reported through the TorontoMLS system this June represents a 5.4 per cent decrease in the number of transactions compared to June 2011. 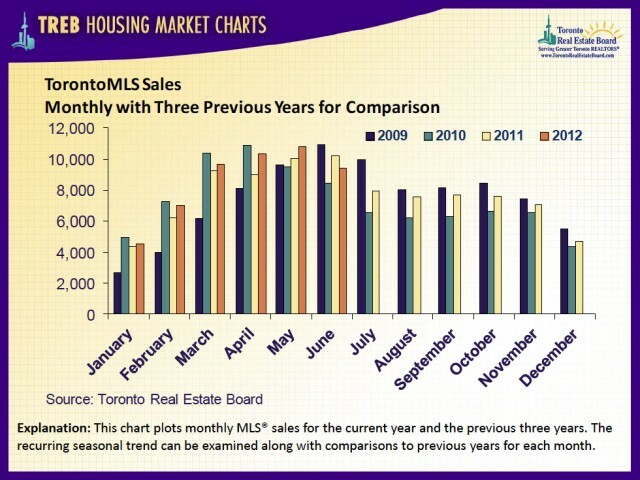 The biggest year-over-year decline was recorded in the City of Toronto, where sales fell by 13 per cent in comparison with June 2011. 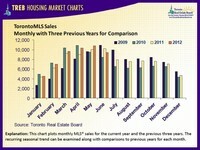 Sales in the remaining Toronto Real Estate Board market areas remained comparable to the last year’s June. Recent polling by TREB suggests that many households are considering home purchases outside of the City of Toronto to avoid paying the Land Transfer Tax. This goes a long way in explaining the disproportionate decline in sales in the City versus surrounding regions. Furthermore, the average selling price in Toronto and the GTA has recorded a 7.3 year-over-year increase, reaching $508,622 this June. The mortgage payment connected with the average priced home in June, considering 5 per cent down and a five-year fixed rate mortgage amortized over 25 years, would account for about 35 per cent of the average household’s income in the GTA after adding property tax and utility payments. The share of the average household’s income going toward major home ownership payments for the average priced home remains below the 39 per cent ceiling recently announced by Mr. Flaherty. 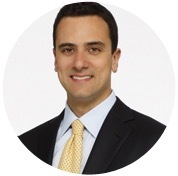 The average household in the GTA continues to benefit from a considerable amount of flexibility to account for higher interest rates moving forward.